My last blog post was in October. I was super excited about Quilt Festival coming up and I could not wait to meet up with my good friend Kay to shop ’till we drop and take our classes together. And we did just that! It’s almost fitting that today would be the day that I start blogging again after a very busy first half of the year. Because, this morning Kay and I registered for fall festival classes! I have been excited all day, not to mention tired; given how early we got up to make sure we we got the first picks! I can’t wait to see her and catch up. 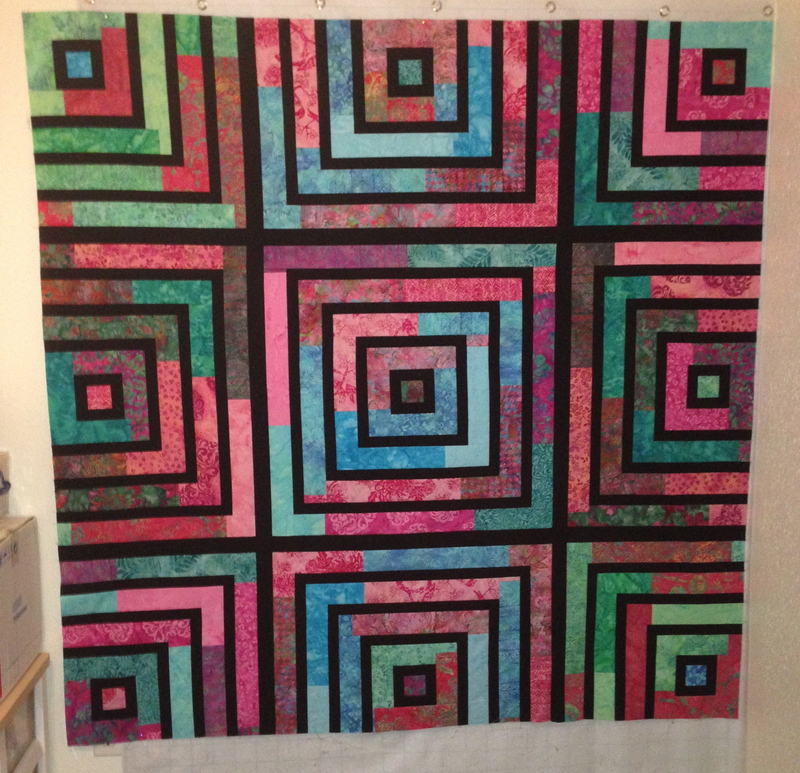 Even though I haven’t been blogging this year, I have been quilting! I took Gyleen Fitzgerald’s Trash to Treasure pineapple class last year and created this wall-hanging. 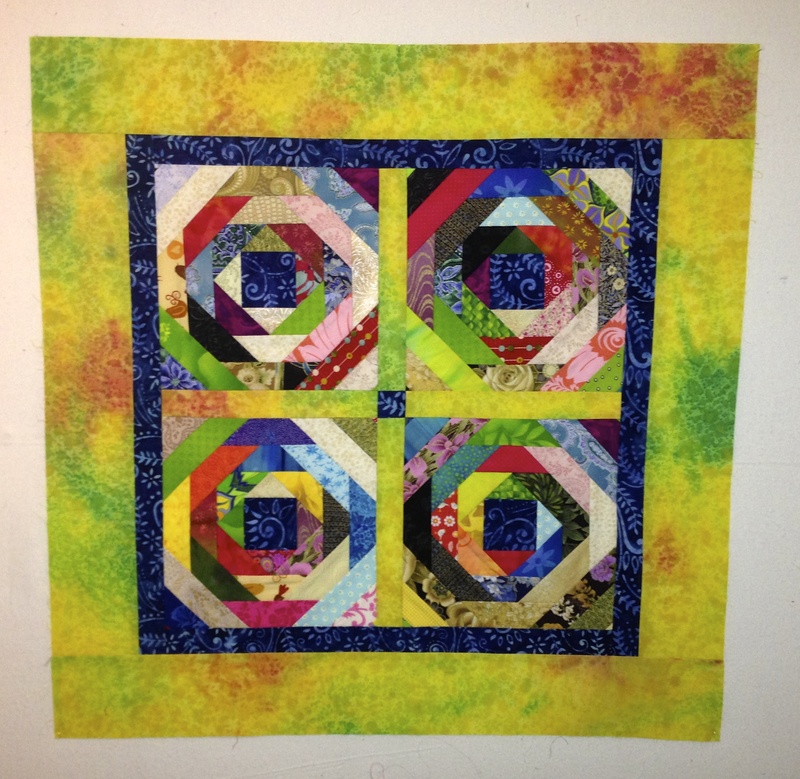 I am hand quilting (eek) it as I have time. This is called “The Trippy Quilt”. It is pattern I found on Pinterest and was determined to make it. 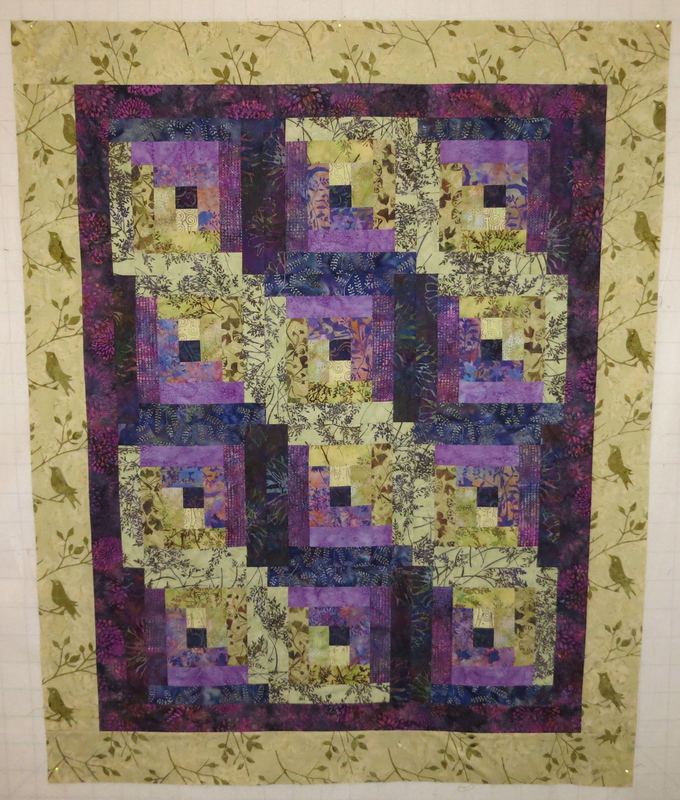 It still needs to be quilted, but, of course, thats on the “to do” list.